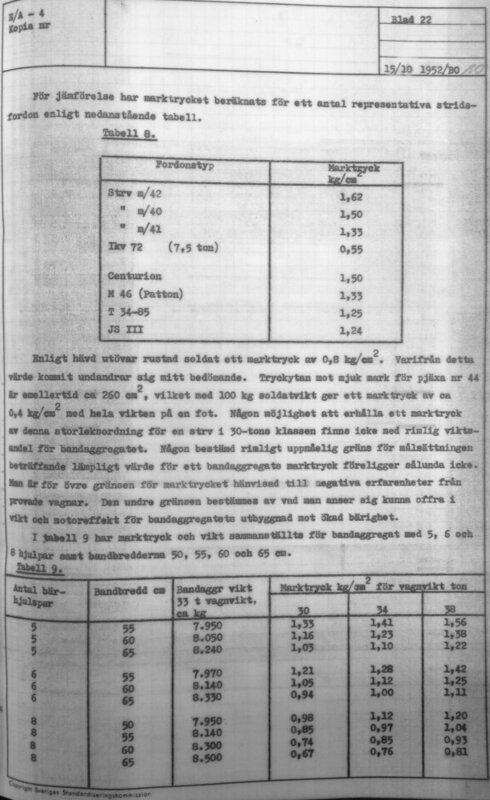 This is a report of the then-current status of the EMIL project (also known as krv, kranvagn, project 6400, etc), dated 1952-10-15. Over the course of some hundred pages or so (although not all of the original pages seem to be in the archive I found it in) it covers in great detail what a tank like EMIL needs to do and why it needs to do it. Note that this report was originally classified top secret (“of great importance for the security of the realm”); the reason it’s in an archive volume dated 1958 is because its classification status was reduced to “regular secret” at that point; top secret and regular secret archives are kept separately.